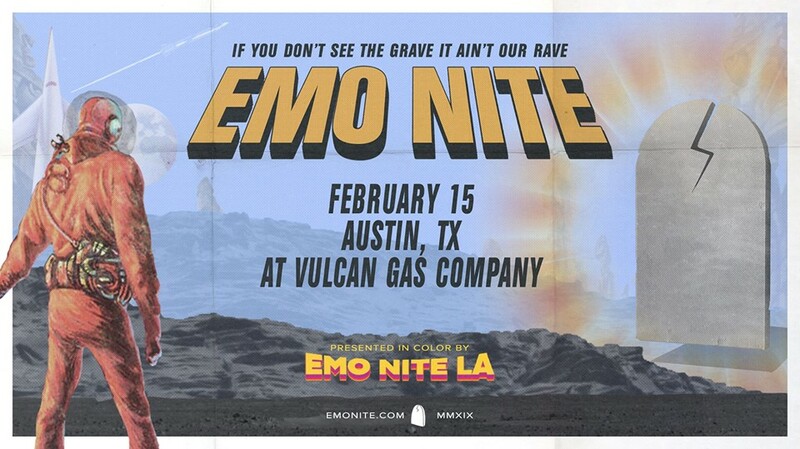 live and in color it's emo nite join us 2/15 at Vulcan Gas Company for a new year of partying. start time is 9. end time is 2. 18+ tix on sale now ty and see u then. join us 2/15 at Vulcan Gas Company for a new year of partying. start time is 9. end time is 2.
ty and see u then.